There are seven major energy centers in the body known as ‘Chakras’. Chakra is a Sanskrit word that means “wheel”. Therefore, a chakra is like a wheel spinning vortex that whirls in a circular motion forming a vacuum in the center that draws in anything it encounters on its particular vibratory level. 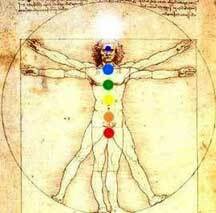 The body does contain hundreds of other chakras that are instrumental to the operation of our existence. Too Open: an over stimulated heart chakra can result in a “bleeding heart” and possessiveness. "When you balance your seven spiritual centers, you begin to undo the damage caused by living your life backward, from head first, forgetting the body and spirit altogether. If your life isn't supported by a grounded source of energy, it will wither and lose its vitality. As you learn about chakras, you'll discover that balancing them isn't particularly hard, especially if you think of it as a process of not just living your life, but actually loving your life." Thanks for such a great article! I do have one question about our third eye chakra, though. The physical affects noted included those related to the left eye. could any or complete blindness in your left eye affect the perfomance of this chakra?